Dr. Mark Giambastiani has more than 20 years experience in conducting Phase I (Survey), Phase II (Testing), and Phase III (Data Recovery) studies throughout California and Nevada and has served as Principal Investigator on many different projects of all phases in both states. His regional expertise centers in the Mojave Desert, where he has worked for many years on major military installations (Fort Irwin, Edwards Air Force Base, Marine Corps Air Ground Combat Center, Naval Air Weapons Station China Lake), and in the Great Basin, where he has completed many different projects for various federal agencies (U.S. Forest Service, Bureau of Land Management, Bureau of Reclamation, U.S. Fish and Wildlife Service) and private enterprises (mining, water, and alternative energy development). Dr. Giambastiani has also led and/or participated in a number of archaeological projects for Caltrans in Kern, Mono, Inyo, and other counties for the U.S. Army Corps of Engineers, and for the Fort Hunter Liggett military installation on the California coast. Dr. Giambastiani’s doctoral dissertation focused on prehistoric obsidian use on the Volcanic Tableland in Owens Valley, Inyo County. He specializes in prehistoric archaeology, being an expert in artifact analysis and in the study of lithic technology, obsidian use and conveyance, toolstone exploitation, and subsistence/ settlement reconstruction. He is also learned in historical archaeology, particularly in Nevada, and has extensively studied topics such as charcoal production, Depression-era mining, and early military forts. Mr. Blustain is a cultural resource professional based out of Central Nevada. He holds a B.A. in Archaeology and Anthropology from Boston University and a M.A. in Anthropology from the University of Nevada in Reno. Jonah’s research interests revolve around Industrial Archaeology, Cold War Studies, and Architectural History. Believing that archaeology is a “public or perish” proposition, he is heavily involved in public outreach and interpretation. Jenny has been working in Nevada as an archaeologist since 2008 and has been the NAA secretary for two years. She has ten years of archaeological experience in Academia, Cultural Resource Management, and the Government sector within the Midwest, Plains, Southwest, and the Great Basin regions of the U.S. She has worked as an archaeological technician, field supervisor, and project management. She currently works as a Senior Field Supervisor out of Reno. Jenny is from Indiana and received her Master’s degree in Anthropology from the University of Nebraska before making the permanent move to Nevada. Her expertise is in historical archaeology, mining archaeology, 19th century material culture, childhood archaeology, and historical research and preservation. She is very grateful for the opportunity to be involved with the Nevada Archaeological Association! Ms. Branch has over 13 years of experience in cultural resources management gained through projects in Nevada, California, Idaho, Utah, Colorado, Oregon, and Alaska. 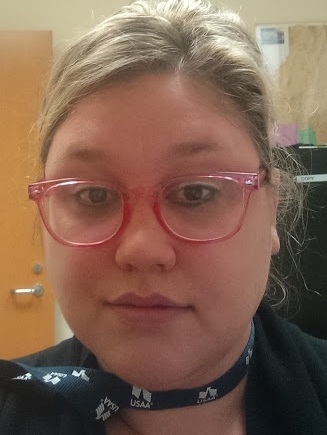 Though she specializes in documenting and evaluating prehistoric and historic archaeological resources in the Great Basin, she is also skilled in conducting archival research and has recently found much joy in identifying unique and wonderful names in late nineteenth century census records. In a former life, Sarah believed she was destined to make a career of studying dinosaurs and to that end, completed a BS in geology at the University of Nevada, Reno (UNR). Since much of Nevada was still under water for most of the Mesozoic, her love of all things saurian was of necessity redirected toward micropaleontology and biostratigraphy – culminating in an undergraduate honors thesis examining Mississippian and Devonian radiolarians from the Toquima Range in central Nevada. Sarah got her first experience with archaeology in 2004 on a data recovery project at a late-nineteenth to early-twentieth century ranching property in Washoe City and was immediately hooked. She returned to UNR to continue her archaeological education, earning her MA in anthropology in 2014. Her primary research interests lie in the Great Basin and while at UNR, she used chemical sourcing of fine-grained volcanic tools from western Nevada to help elucidate patterns in prehistoric mobility, lithic procurement, and settlement in the region. After spending over a decade as an archaeological technician at a large environmental and engineering firm, Sarah joined the staff of ASM Affiliates in 2015. 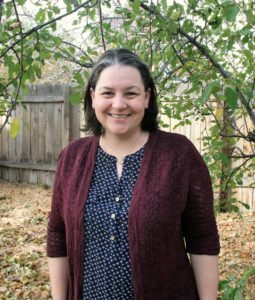 As a Senior Archaeologist and Principal Investigator at ASM, she has been working on a variety of projects in Nevada and Northern California, and now serves as co-director of the Reno ASM office. Sarah has been a member of the NAA since 2007 and joined the Board in 2017. Cassandra has worked as an archaeologist in Nevada since 2003. While originally drawn to the area because of its exciting Paleoindian research she couldn’t help but fall in love with the ‘Old West’. Today she lives in Tonopah, Nevada – once the ‘Queen of the Silver Camps’- with her husband, Jonah, their four cats and one dog. Working as an archaeologist for the Bureau of Land Management she helps to preserve Nevada’s rich history and prehistory so that future generations will also have the opportunity to fall in love with the past. Christina grew up in a Central New York state town settled in 1788, surrounded by the Mohawk Nation and historic forts and battlefields. She graduated from the University at Buffalo (UB) where she was just one ancient language class away from completing a double major in Classical Archaeology and Anthropological Archaeology, complete with a field school which focused on Late Iron Age through Viking Age settlement patterns at Thy, Denmark, as part of the Thy Archaeology Project. As part of her 10 year CRM career, she has experience conducting Phase IA (background research), Phase IB (survey), Phase II (evaluation) and Phase III (data recovery) of prehistoric and historic sites across New York, Vermont, Florida, and Nevada. Notable sites she worked on in the Northeast include War of 1812 Sackets Harbor battlefield at Fort George and Revolutionary War Fort Ticonderoga, where she was able to locate the powder magazine identifying the location of the original French Fort Carillon which sustained damage to that same magazine during the French and Indian War. While in Florida, Christina worked as a Staff Archaeologist which included researching, excavating, and recording prehistoric, historic and military sites, historic aerial photograph and satellite imagery analysis, artifact curation, laboratory assistance, library administration, research working closely with the Florida SHPO, the State Archives of florida, the Archive and CEVSH of Eglin Air Force Base, and the Air Force Armament of this culminated in experience with Paleolithic through twentieth century homesteading sites, naval stores operations and stills, and WWII to Cold War-era military sites. After moving to Nevada, Christina has worked for the Nevada SHPO and Desert Research Institute since 2012. She as been part of the NAA since 2013. Shannon Goshen started her archaeology career in the Midwest—completing related coursework, mapping Native American effigy mounds, and working with the Logan Museum of Anthropology’s extensive archaeological collections—while attending Beloit College. 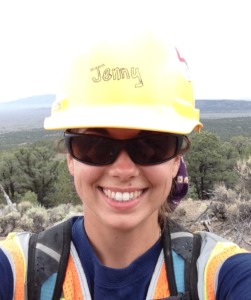 While in college, she completed an archaeology internship with the USFS in northeast Utah. During this internship, she participated in an excavation at a Fremont rockshelter site—sparking her interest in Great Basin prehistoric archaeology. Shannon’s interest in zooarchaeology also began during this time, after a coworker noticed her gathering animal skeletons during survey and gave her a copy of Reitz and Wing’s “Zooarchaeology” book to read. Shortly after receiving her BA in Anthropology, (and after digging shovel test pits in the snow across Indiana) she moved “out west” to work seasonally as an archaeologist with the USFS in California and CRM firms in Nevada prior to attending graduate school at California State University, Sacramento. During graduate school, Shannon held a part-time position as an archaeologist and faunal analyst at the CSUS Archaeological Research Center, participating in the field and laboratory work of several large-scale excavation and survey projects in the Mojave Desert and Bay Areas of California. Shannon completed her MA degree in Anthropology in 2013; her thesis research focused on the examination of prehistoric resource depression through the analysis of waterfowl remains from village sites in the Sacramento area. While nearing her MA completion, Shannon started her current position as an archaeologist with the Nevada Department of Transportation. Over the past four years as an archaeologist with NDOT, Shannon has worked all over the state of Nevada completing large and small scale survey projects—and has become very familiar with historic roads. Shannon continues her zooarchaeological interests as a faunal analyst consultant and has completed several faunal analysis projects for local CRM firms. 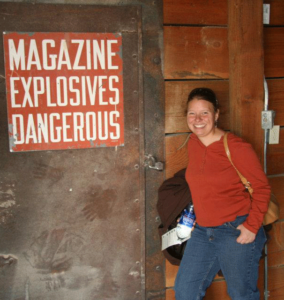 Shannon joined the NAA in 2013 and became newsletter editor in 2015. Craig recently moved to Boise, ID to work with ASM. He grew up in Colorado and received his BA in Anthropology from Boise State University in 1997. While at Boise, he developed a love for Great Basin archaeology that has stayed with him ever since. After graduating from BSU, Craig worked on archaeological jobs in Arizona, California, Colorado, Idaho, New Mexico, Nevada, and Texas before obtaining his MA at California State University, Chico. He graduated in 2005. While at Chico, he applied a large chemical sourcing and artifact dataset to explore Archaic mobility patterns within the central Great Basin. In addition to interests in prehistoric mobility, Craig’s active interests include organization, and technological responses to environmental stress. As well, he is interested in developing methodological approaches to quantify lithic raw material quality with the ultimate goal of modeling behavior associated with raw material procurement and developing methods to predict where such unique resources as bow stave trees, game drives, and wikiups are located. Dr. McMurry has worked in the archaeological field since 2002, participating in both prehistoric and historic projects in Nebraska, Colorado, Utah, Idaho, Oregon, California, Arizona, and Nevada. She has led and worked as a crew member on numerous excavation and survey projects for universities, federal and state agencies, and private clients. Her graduate research at the University of Nevada in Reno, focused on historic mining resources in Nevada, with a Master’s thesis that examined Depression-Era placer gold mining, and a PhD dissertation that investigated a 20th-century sulfur mining townsite. She has significant experience in Section 106 compliance, oral history management, historical research, artifact processing and curation, GIS data collection and processing, historic artifact analysis, and report preparation for both government and private clients. Dr. McMurry’s personal research interests include GIS, mining, 19th and 20th-century archaeology, and public outreach, and she has presented and published numerous popular and scholarly articles devoted to these and other topics. Dr. Pat Barker earned a Ph.D. in Anthropology in 1982 from the University of California, Riverside. Since 1986 he worked as an archaeologist for the Bureau of Land Management and since 1988 was the lead archaeologist for the BLM Nevada State Office. Dr. Barker retired from the BLM in 2006. 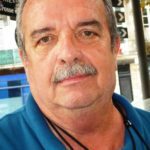 His archaeological research experience includes work in Southern California, the Mojave Desert, Eastern California and the Great Basin and his ethnographic experience includes work in Samoa, Southern California, and the Great Basin. Dr. Barker’s long-term archaeological interests in the Great Basin include: political evolution, prehistoric sandals and other textiles; and prehistoric rock art. He is a Research Associate in Anthropology at the Nevada State Museum and at UC Davis. Dr. Barker is a past President of the Board of Directors of the Nevada Rock Art Foundation and of the Board of Directors of the Great Basin Anthropology Association. His teaching experience includes upper division and graduate level courses on historic preservation law and policy; the history of Indian-White relations in the United States; and Great Basin archaeology and ethnography. Andrew is a Staff Archaeologists at Far Western’s Great Basin Branch in Carson City. 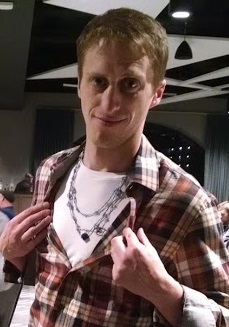 He received a BS in Anthropology from Central Michigan University in 2011, and an MA is Anthropology/Archaeology from the University of Nevada, Reno in 2016. Andrew has worked in the Great Basin since 2012 researching, surveying, and excavating historic and prehistoric resources. His research interests include lithic technological organization, Great Basin projectile point typologies and chronologies, atlatl-bow transition in the west, and efficacy of cultural resource management strategies.